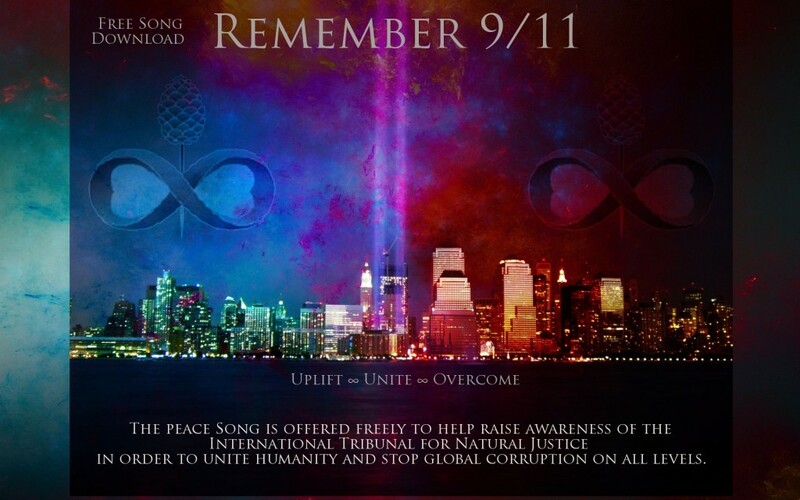 The P. Song (Peace Song) has been offered freely to the world in support of the International Tribunal for Natural Justice, with the goals of raising awareness, stopping global corruption on all levels, and uniting humanity. The Peace Song was released worldwide on June 15, 2015 in alignment with the official inauguration of the International Tribunal For Natural Justice and the 800th Anniversary of the official signing of the Magna Carta. The Peace Song is FREE to stream or download worldwide. Humanity may use the Peace Song as they see fit. It is FREE to the world to use in any and all capacity. 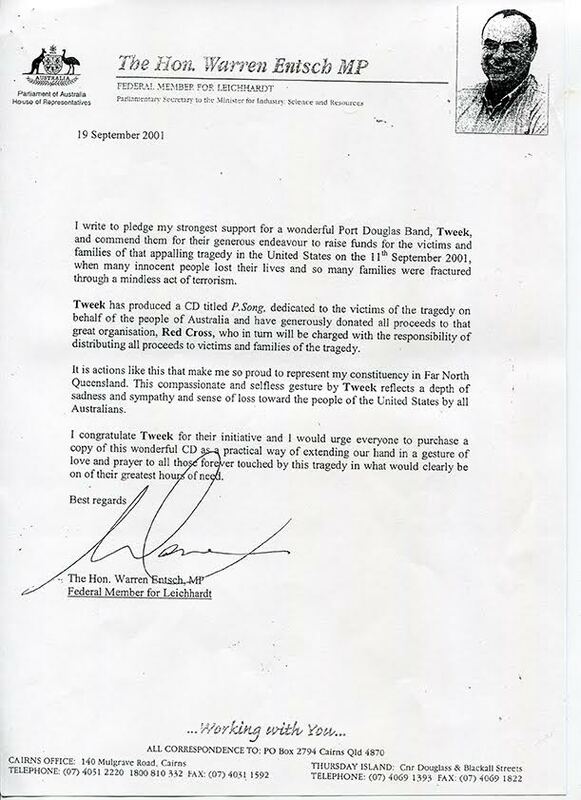 The Peace Song was originally selected by the Australian Government to accompany the official Australian condolence books sent to Rudy Giuliani (former Mayor of N.Y.) following the terrifying devastation caused by 9/11. 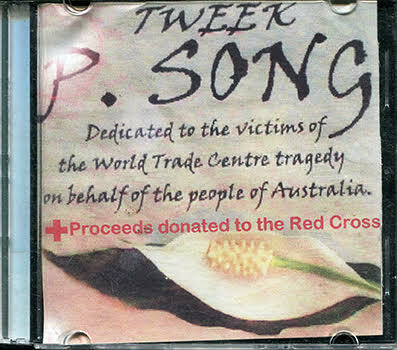 The Peace Song was written and recorded by Australian band TWEEK and has never been released for sale. By offering this FREE download worldwide, it is hoped that song will raise awareness and help stop global corruption on all levels. The goal is to unite humanity and to place further focus on the International Tribunal For Natural Justice. Lyrics and vocals by Dan Hodgson. Music and arrangement by Tweek. psong.net website by Dan Hodgson. How many times to wash the blood away? How many lives, how many dreams’d you kill? and the time will come, when we’ll get things done, if we manage to keep standing. How many toys to make you feel complete? How many souls to sit and warm your feet? and too many mouths you wont feed again. We’re all sitting here, waiting for some retribution, or something to come. Will the sky clear? Is it history you fear? You’re not alone. Calling Out streams freely after P. Song on psong.net, and was intended as a “b side” to go with the P. Song. Both of these songs were written before 9/11, yet the lyrics are synchronistically relevant to the tragedy of 9/11. The Committee to Support the International Tribunal for Natural Justice extends our gratitude to Dan Hodgson and the members of Tweek for this generous contribution to raising awareness and uniting humanity.